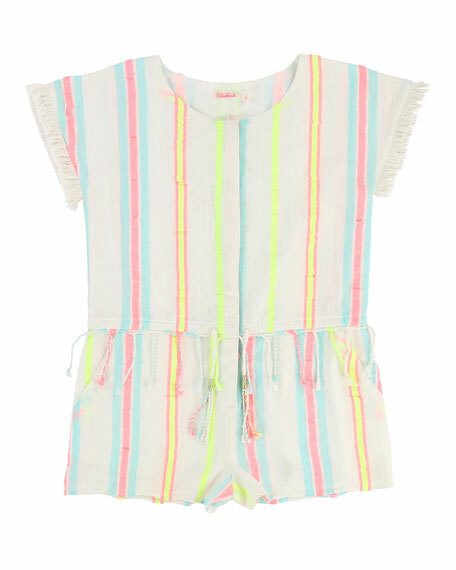 Billieblush woven romper in multicolored stripes. Crew neckline; hidden button placket front. 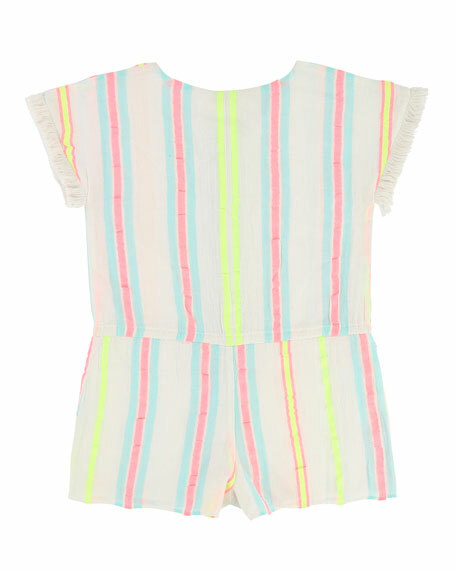 Attached tassel trim around waist. For in-store inquiries, use sku #2463546.